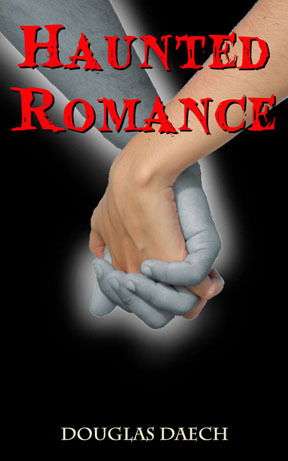 Finally after several reviews and rewrites the final edition of Haunted Romance is uploaded to the Smashwords.com website. It is now available and in premium distribution, meaning it will be available at Sony, Kobo B&N and Apple stores. This is the second book on Smashwords, and I hope what I’ve learned along this road will help it get a few extra purchases. Promotion is the biggest problem in writing. The book may be available, and at a fair price, but if no one knows about the book it will fall flat. Just as I did with the first book, I have priced the new release at only .99 cents. I have a web site dedicated to linking to the smashwords site and have printed business cards with the website as well. I have already sent several press releases out that link to the book with a promo/review code to get a free copy. More press releases are planned. I am hitting facebook and twitter with links and have submitted the links to ebook reviewers. Any Ideas on what more I can do? Tori Clark and her mother are starting over. They’ve moved to a new town and they have a new home. Things are different now, but Tori never expected to be sharing her bedroom with a ghost! Together, Tori and the ghost work to solve a historic local cold case murder mystery. Along the way, a haunted romance forms between them. A love story spanning thirty years and crossing from life to death plays out as justice is brought to the murderer who still lives just around the corner. Enjoy the romance, drama and excitement as young love, a haunting romance and a murder mystery unfold in Douglas Daech’s second electronic publication available at Smashwords.com in all e-book formats. Please leave a revi ew if you like it!